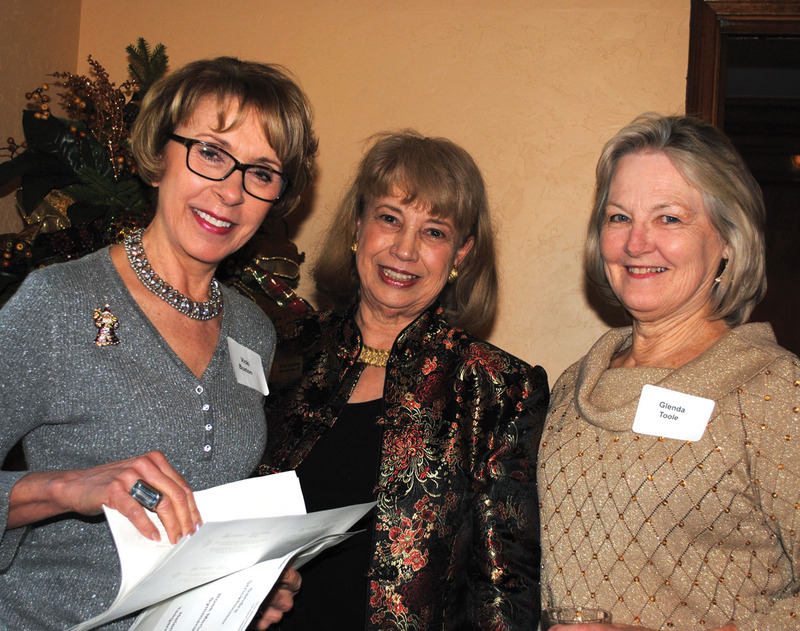 Hostess Elaine Rister, center, thanks Suzanne Stephens, right, for chairing the Assistance League Holiday Open House at her Bay Oaks home in Clear Lake. IF YOU LIKE to party, the Bay Area is the place to be in December. It starts the first of the month and only lets up when word gets out that shopping days are numbered and that the reindeer are already practicing with Rudolph up at the North Pole. In between, it’s run, run, run from party to party and catching up on everyone you haven’t seen in awhile. It began early for the Clear Creek Education Foundation, which launched its annual fundraising campaign with a breakfast hosted by Executive Director Kaci Hanson at Lakewood Yacht Club, where H.E.B Regional President Scott McClelland was the keynote speaker. Do I need tell you the crowd was disappointed he did not bring J.J. Watt? 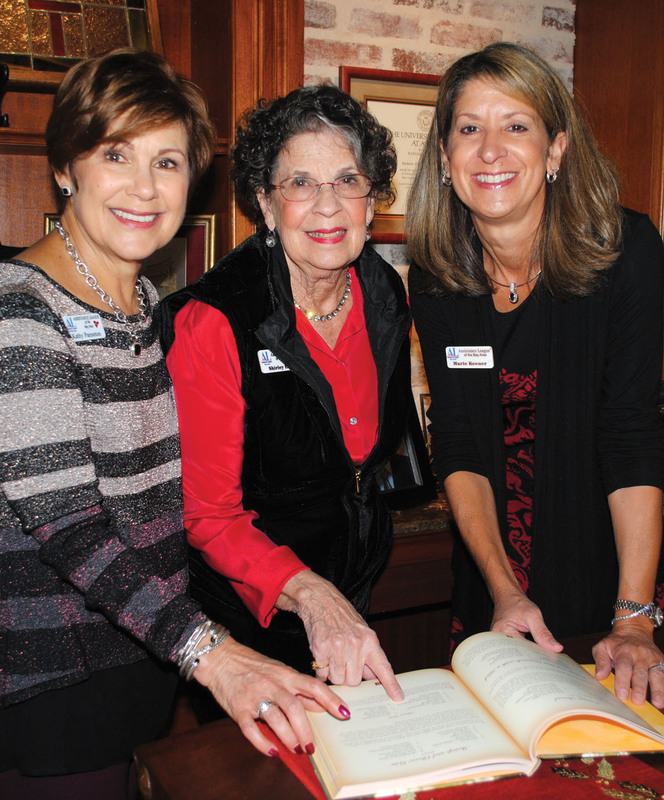 Assistance League members Kathy Panneton, Shirley Lang and Marie Keener, from left, look for a recipe in the League cookbook during Holiday Open House. Next stop was at UH-Clear Lake’s annual holiday reception hosted by President Bill Staples and his wife, Darlene, at Bay Oaks Country Club and then the Johnson Space Center Director’s Holiday Party, hosted by JSC Director Dr. Ellen Ochoa in Building Nine. Later you might have spotted many members of the business community at the holiday receptions hosted by the League City and Clear Lake Chambers and by Bay Area Houston Economic Partnership. And this year we enjoyed beautiful spring-like weather. THE BAY AREA Museum Guild kicked off probably the busiest week of the month with its annual Holiday Open House, where you could have bumped into Linda and Einar Goerland, Pat and Wendell Wilson, Mary Ann Shallberg, Peggy and Jerry Clause, Anita Fogtman, Cindy and David Kuenneke, Ava and Tony Galt, Sue Broughton, Frank Perez, Gloria Wong, Nina and Robert McGlashan, Jan Larson and Lewis and Joan Wade. Jan Larsen, Pat Biddle and Ava Galt, from left, were on hand to welcome the crowd to the Bay Area Museum Guild Holiday Open House at the museum in Clear Lake Park. Some of the others in the crowd included Justine and Patrick Powell, Buck Rogers, Barbara and Frank Spencer, Rose Merle and Leo Symmank, Kimberly Barker, Shirley and Hubert Brasseaux, Pat Biddle and her husband, Ronald Kahl, and his daughter Diane, Michelle Krueger, Liz DeLeon, Annette Dwyer and Pat Monks, Laraine Eggers, Sarah Foulds, Nancy Poffenberger and Stephen Vega. 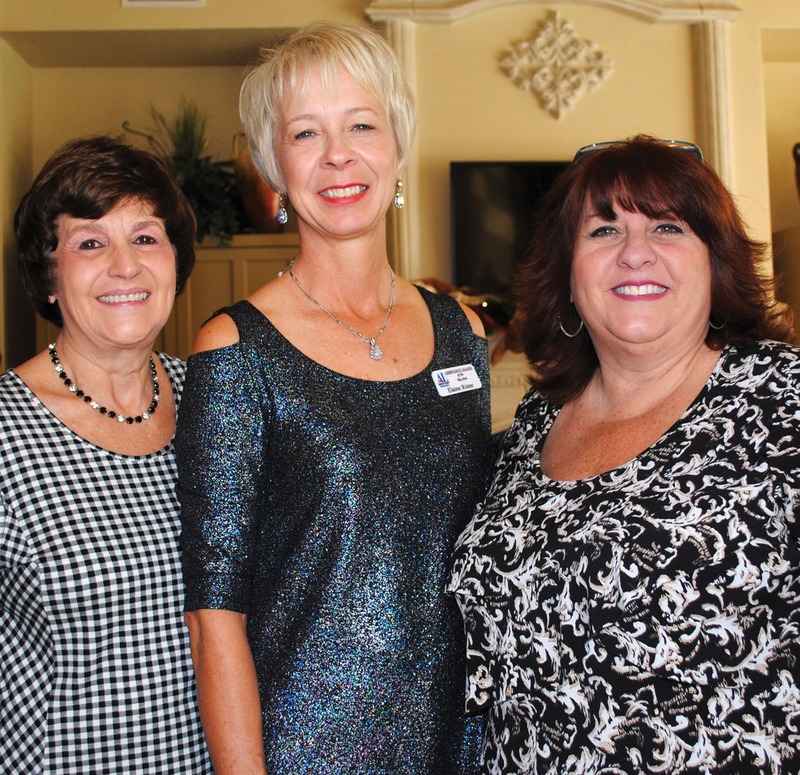 ASSISTANCE LEAGUE members were out in force the next day as Elaine Rister hosted the annual Holiday Open House at her Bay Oaks home, with Suzanne Stephens as chairman and Melanie Lovuola as co-chairman. Among the crowd were President Peggy Clause, Barbara Weitenhagen, Atiya Abouleish, Cathy Wolfe, Vicki Tallman, Shirley Lang, Christina Deane, Marie Keener, Sandra Sellers, Lisa Holbrook, Sharon Dillard, Beverly Braden and Kathy Panneton. Hostess Carole Murphy and Houston Symphony League Bay Area President Jim Moore prepare to welcome the crowd to the group’s Holiday Brunch at the Murphy home in Brook Forest. Looking around, you might also have spotted Yvonne Perrin, Joan Burt, Judy Raiford, Suzie Rogers, Pam Culpepper, Amy Wortham, Ginger Darnell, Cathy Wolfe, Brunella Altemus, Hillary Graham, Mary Vaughn, Marie Keener, Belinda Scheunch, Shirley Lang, Becky Richey, Georgia Piwonka, Melanie Lovuola, Jean Simms, Badiha Nassar, Arlis Miles and Betty Walcott. CLEAR LAKE Panhellenic hostess Kim Krist joined Panhellenic President Kay Lee Benoit in welcoming the crowd to Kim’s Bay Oaks home in Clear Lake for their annual Holiday Brunch, which before long was overflowing with members, including Judie Ferguson, Dana Brown, Karen McCorkle, Judy Raiford, Kathy Arnold, Peggy Clause, Barbara Dickey and Diane Overman. Judge Holly Williamson was in the crowd, as were Emmeline Dodd, Ruth Beecher, Monica Gibbs, Jo Nell Hunter, Sheree Frede, Kathy Atkins, Jill Reason, Ellen King, Karen Weber, Sue Ellen Jennings, Kim Barker, Laurie Vaughn, Sue Broughton and dozens more – all enjoying swapping holiday stories with one another or making plans to get together in the new year. 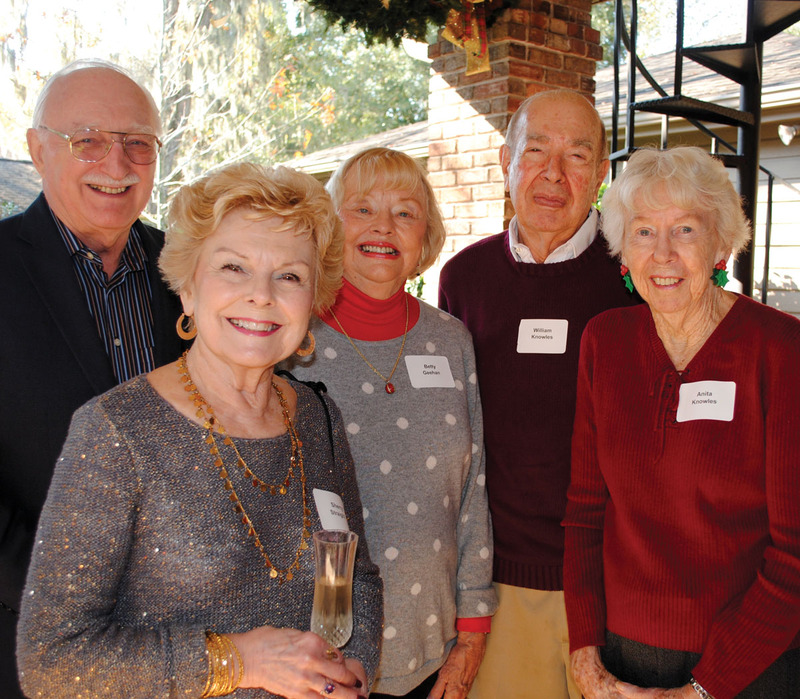 Houston Symphony League Bay Area members Bill and Sherry Straight, Betty Geehan and Bill and Anita Knowles, from left, enjoy the gorgeous weather out on the patio at their annual Holiday Brunch. 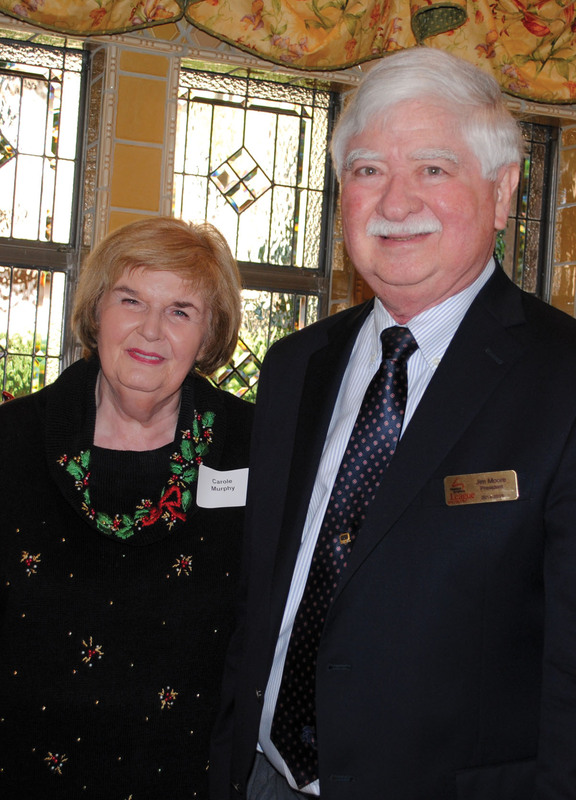 HOUSTON SYMPHONY League Bay Area President Jim Moore joined hostess Carole Murphy in welcoming members to the annual holiday party at Carole’s Brook Forest home. And, it wasn’t long before her home was overflowing out onto the beautiful inviting back patio, where all were enjoying the delightful spring-like weather – including Bill and Sherry Straight, Betty Geehan and Bill and Anita Knowles, Joan Wade, Vicki Buxton, Jane Lackow and Glenda Toole. WHILE ALL THIS was going on, there was much, much more. The wee set was partying at the Museum Guild’s Toyland Fantasy at Bay Oaks Country Club in Clear Lake, at Breakfast With the Sugar Plum Fairy hosted by Bay Area Houston Ballet & Theatre at South Shore Harbour Resort and at the Seabrook Rotary’s annual Breakfast With Santa. 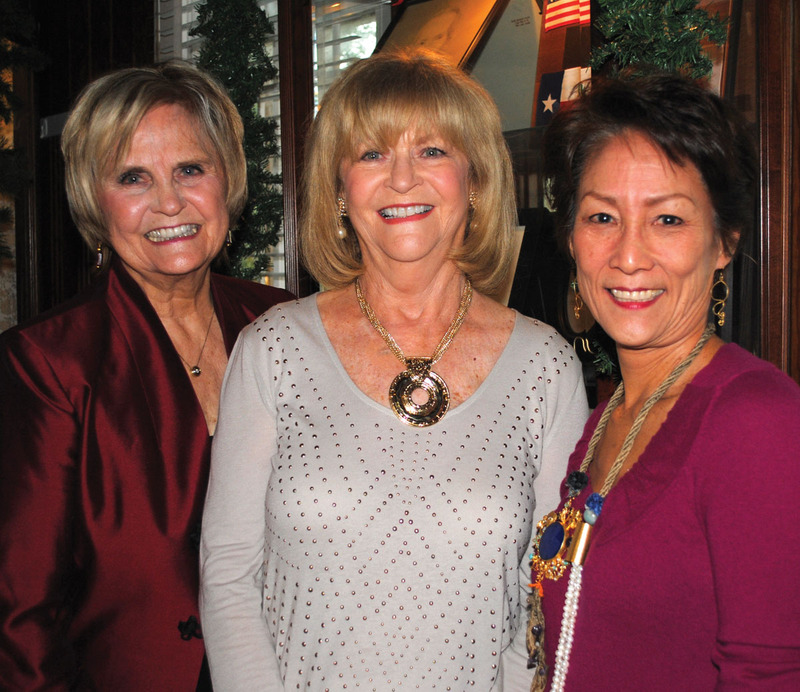 Vicki Buxton, Jane Lackow and Glenda Toole, from left, ready plans for the Houston Symphony League Bay Area’s annual Home Tour while enjoying the group’s Holiday Brunch. Moms also were getting in a lot of early shopping at the Bay Area Turning Point Holiday Market over at NASA’s Gilruth Center, the Bay Oaks Women’s Association Holiday Market at the country club, the Lakewood Yacht Club Ladies Association Feliz Navidad holiday market at the yacht club, the Velvet Stocking at the Webster Civic Center and the various markets hosted by area churches. And, Interfaith Caring Ministries, celebrating its 30th anniversary, held its biggest fundraiser of the year – the 22nd annual Festival of Trees Gala and Big Band Swing Night at South Shore Harbour Resort with dinner, several guest speakers, a wine pull and live and silent auctions. Closing out a busy year, many were planning New Year’s Eve parties. Big ones include those at Lakewood and Houston Yacht Clubs and Bay Oaks Country Club for members and their guests. South Shore Harbour Resort is also planning a big New Year’s Eve Wine Dinner with the public invited. Then we’ll all kick back for a few days and catch our breath.